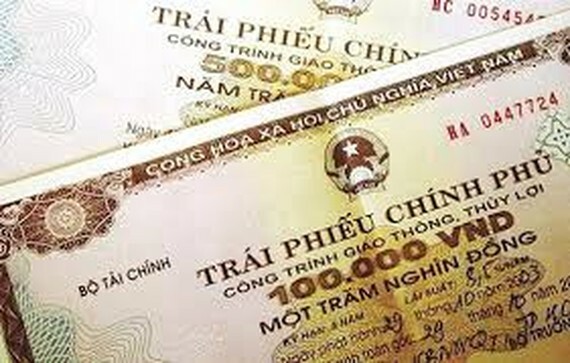 The Hanoi Stock Exchange (HNX) raised VND5.05 trillion via Government bond auctions held last week. The auction offered a total of VND5.5 trillion worth of G-bonds with different maturities including seven-year bonds with a worth of VND1 trillion, 10-year and 15-year bonds totaling VND2 trillion each and 30-year bonds valuing at VND500 billion. After the auctions, bonds with a 10-year term raised VND2 trillion with winning interest rate of VND4.72 percent per annum, up 0.02 percent per annum compared to the previous auction. 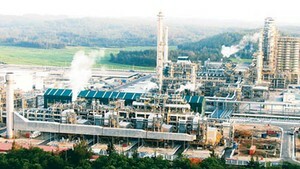 Bonds with 10-year term also collected VND1 trillion with annual interest rate of 4.72 percent. The auction of 15-year bonds mobilized VND1.05 trillion with winning interest rate of 5.05 percent, up 0.03 percent compared to the previous auctions, and VND1 trillion with annual interest rate of 5.05 percent. There was no successful bid for seven-year and 30-year bonds. Therefore, the State Treasury of Vietnam has collected more than VND60.24 trillion (US$2.59 billion) via G-bond auctions at HNX since the beginning of this year.